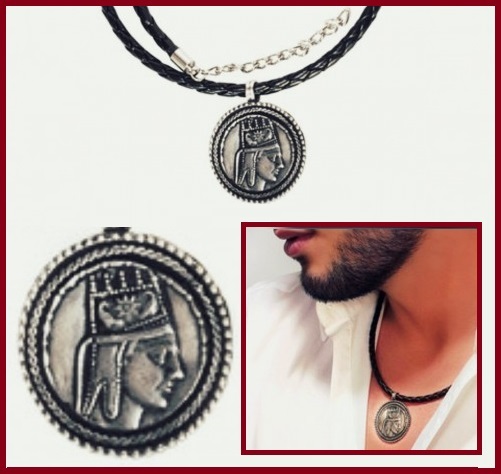 Traditional Armenian jewellery and folk costume have existed for 3,000 years, and during that time underwent some natural changes and the influence of neighboring peoples, but on the whole it has kept its own characteristics and the name – “Taraz”. 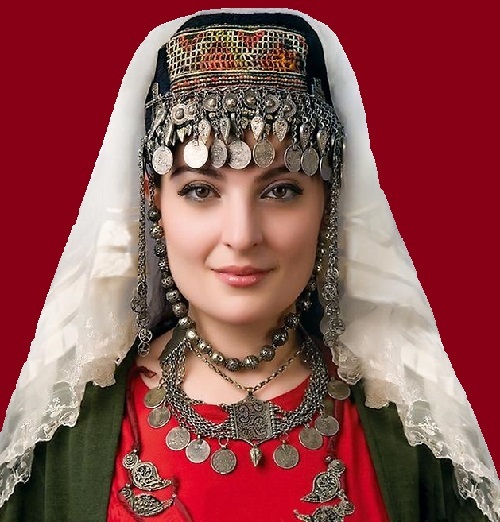 Armenian folk costumes are very colorful. 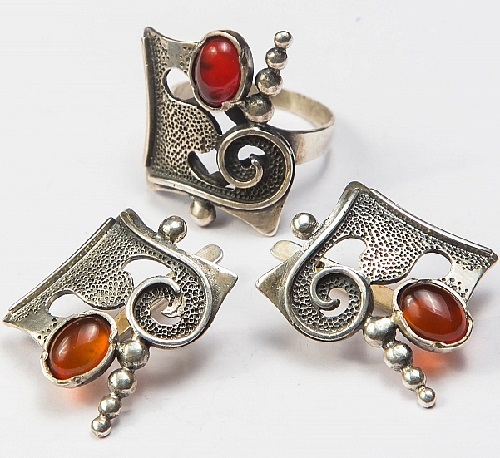 Red, which is considered a symbol of fertility, is often found in suits. 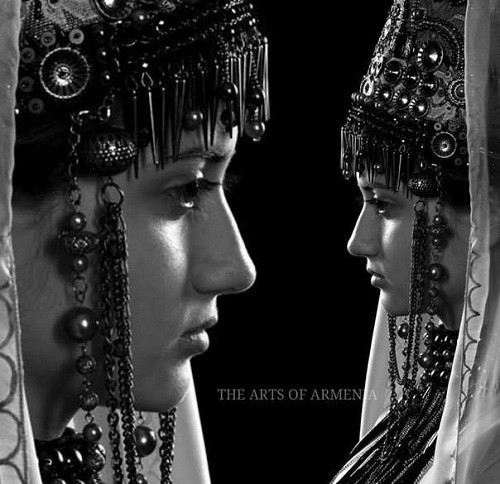 Other favorite colors of the Armenians were blue, purple, white, green. 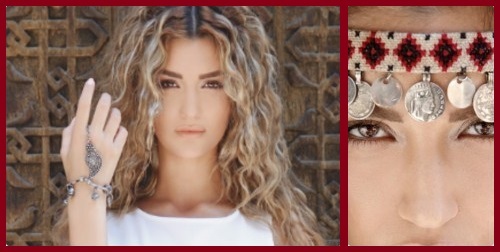 In different areas, people had their own preferences, for example in Western Armenia preferred white color, and in the eastern part of the country, people preferred to wear red (present Armenia). 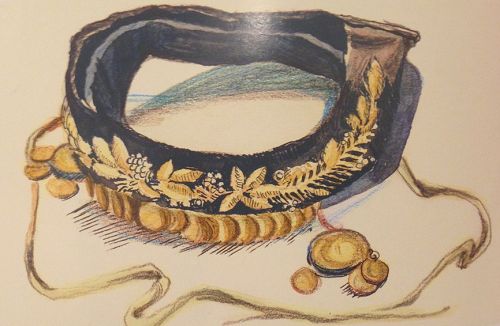 Dresses were sewn according to wealth, made of silk, brocade, satin, cotton. 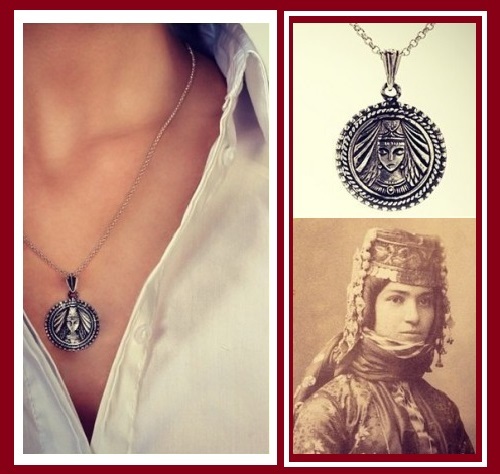 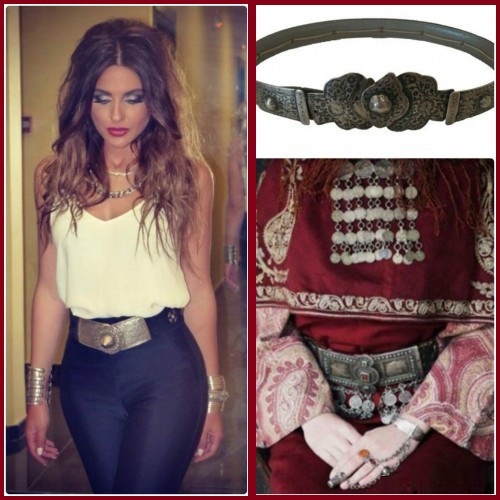 Previously, Armenian woman liked to wear a lot of jewelry – necklaces, earrings, headwear decorations and bracelets. 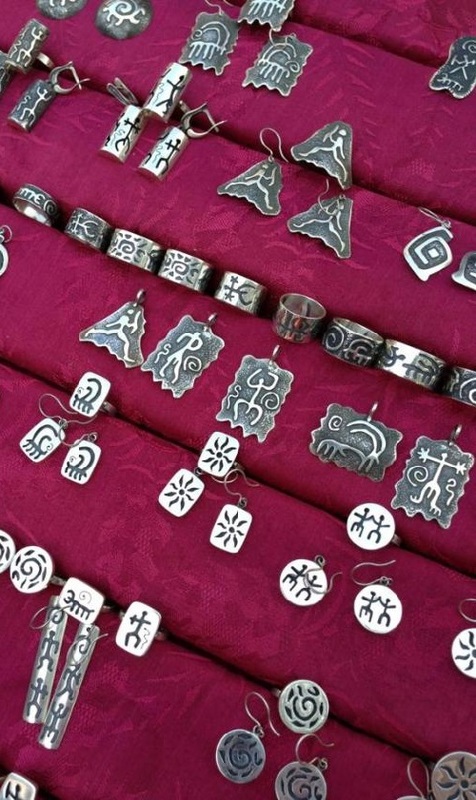 Jewelry has been an indispensable part of the national costume, it is passed from generation to generation, and is mostly made of silver. 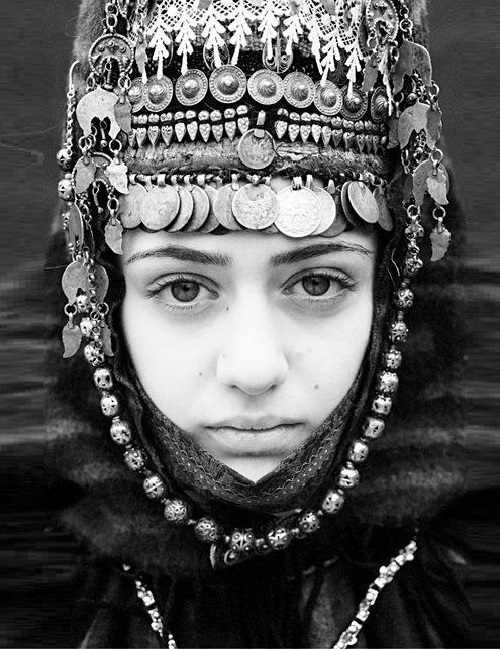 National costumes were made from striped and patterned fabrics. 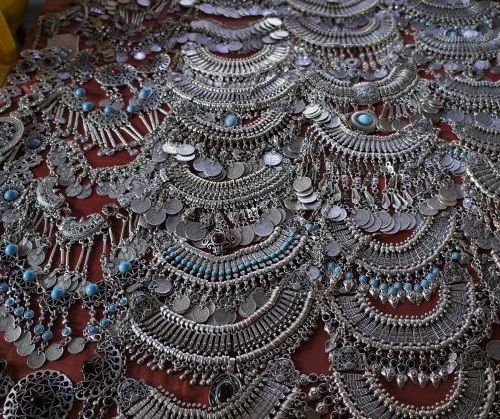 Women decorated their dresses with embroideries. 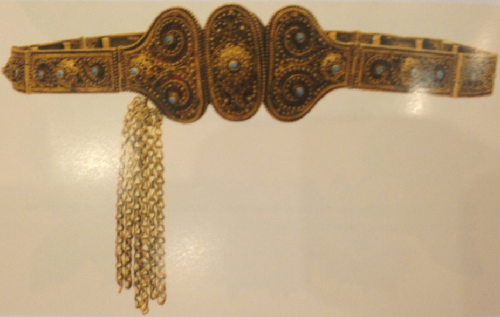 Wealthy women preferred gold and silver embroidery. 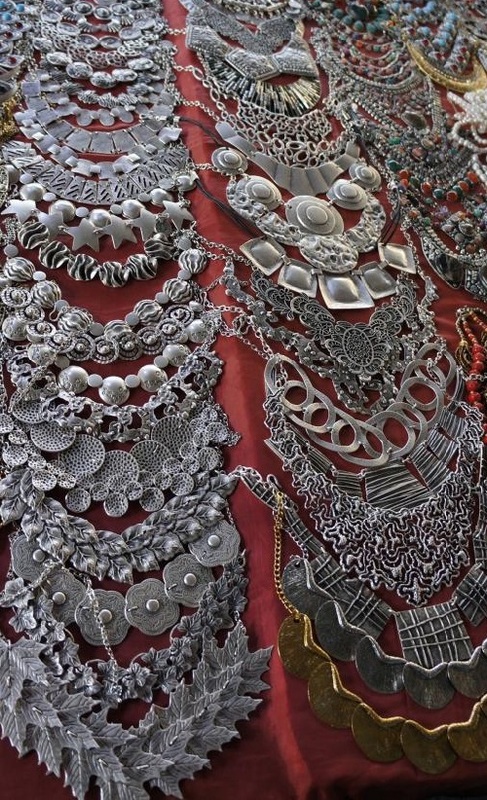 Women wore an apron over a dress that was usually decorated with embroidery. 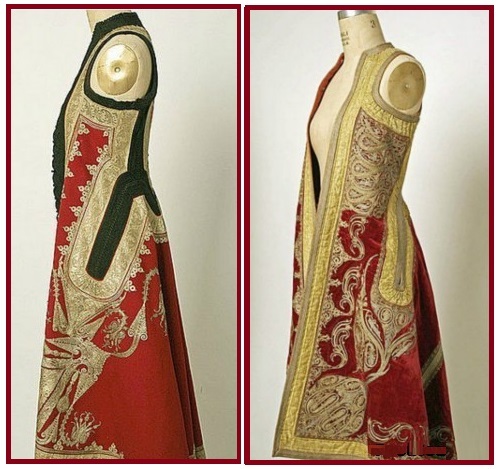 Also on top of the suit both men and women could wear (especially in the cold season) shoulder garment or a longish vest, a similar trend is observed in the contemporary collections of Armenian designers. 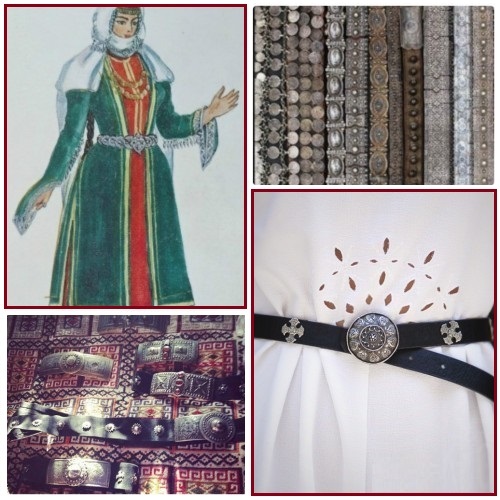 An indispensable part of the Armenian national costume – a belt that could be made of silver, out of the ordinary fabric or knitted from yarns. 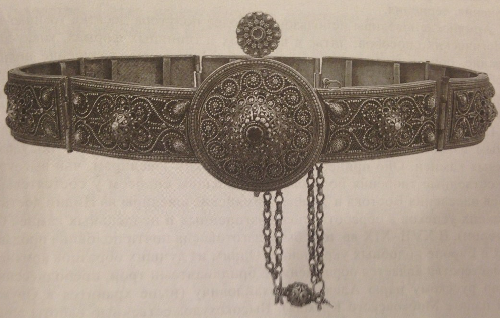 Silver belt was decorated with pearls and other precious or semi-precious stones. 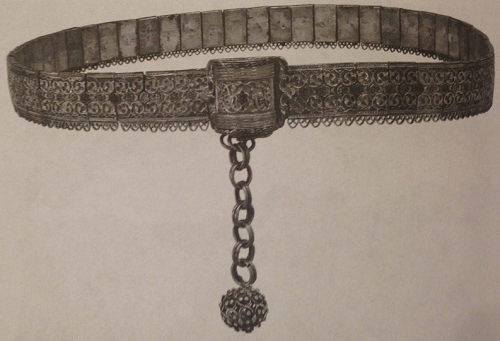 The massiveness of the belt indicated the wealth of its carrier. 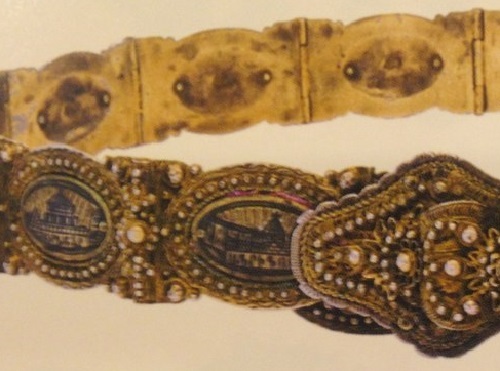 Belt was considered protection from harm and illness. 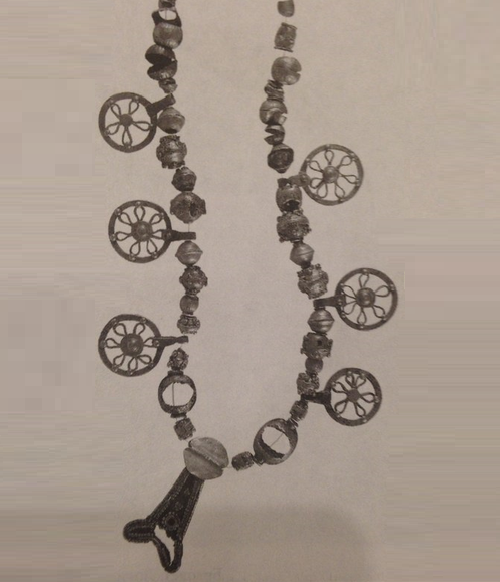 Necklace. 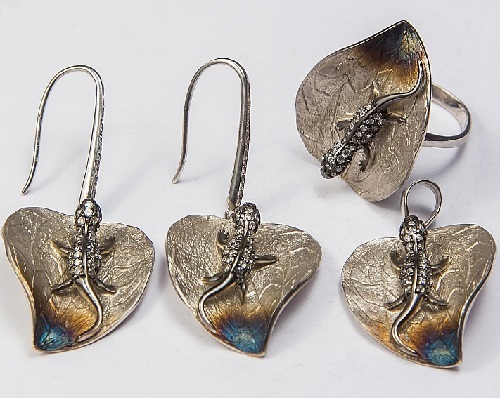 Lori Berd. 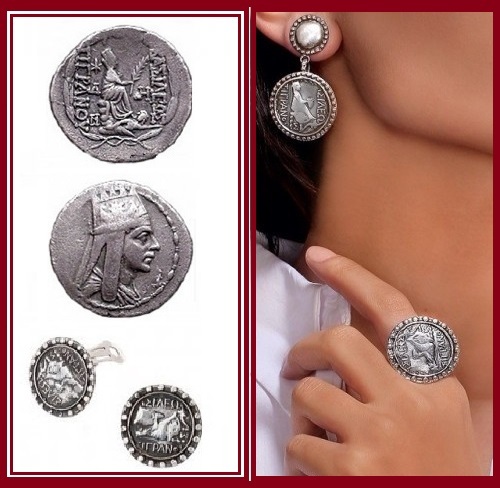 The first half of the XII centuries-the XV. 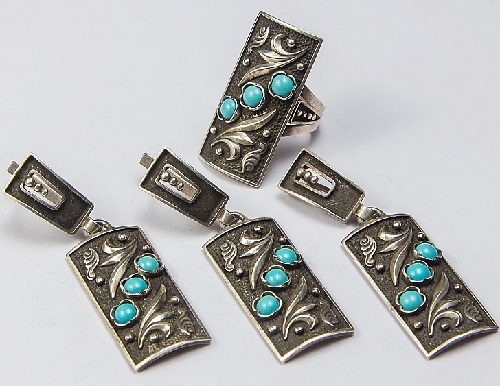 BC. 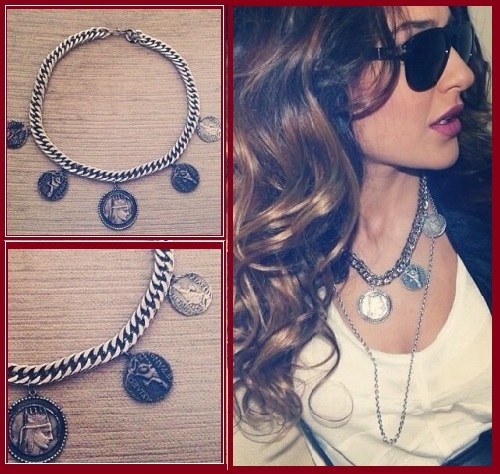 Necklaces and bracelets are now skillfully used by Armenian designers in their collections. 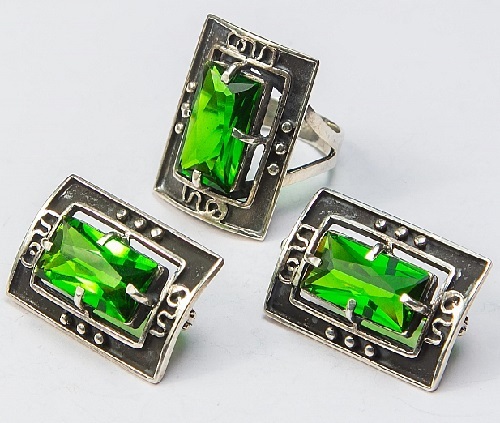 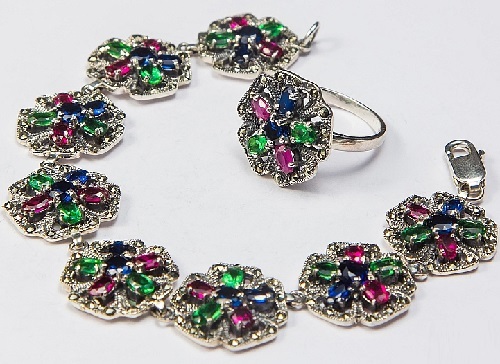 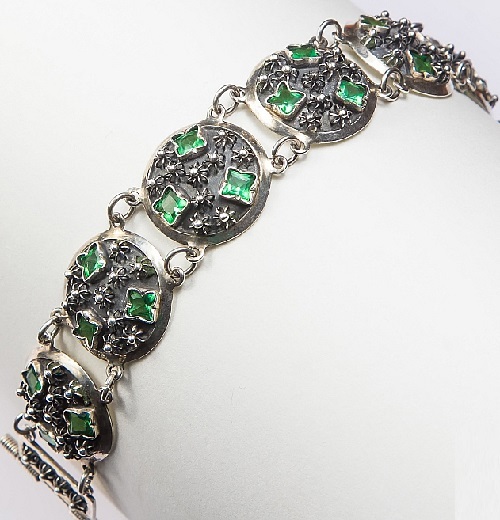 ArtSat Silver jewelry of Armenian masters is the result of manual work, in which is embedded the soul and the centuries-old culture of the Armenian people. 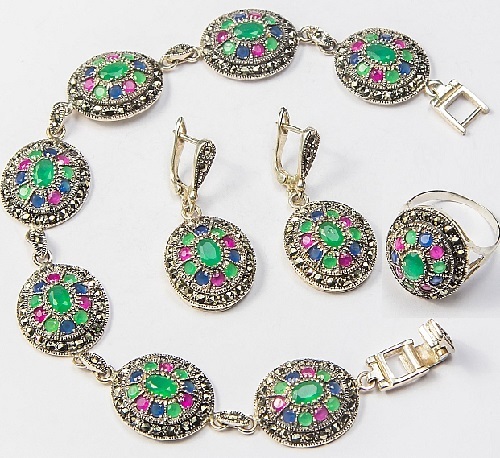 The US boutiques include collection of jewelry created by sisters Kim, Kourtney and Khloe Kardashian for the Los Angeles brand Virgin Saints and Angels. 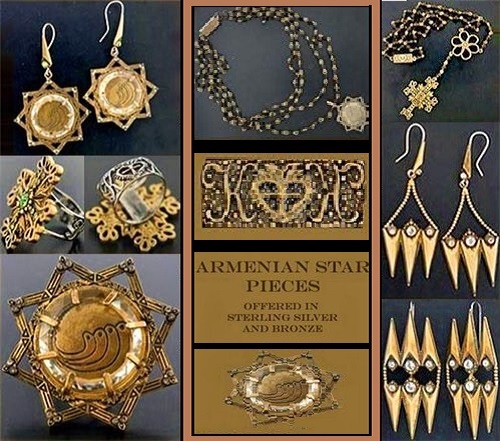 Kardashian sisters say that a new collection was inspired by the Armenian culture of their ancestors, and each of their decoration symbolizes something. 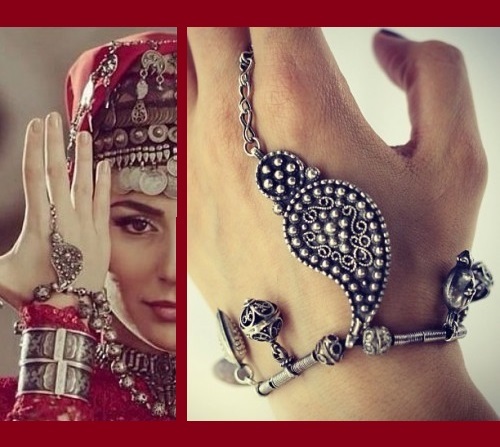 It should be noted that the girls got an unusual combination of vintage style and traditions of the Armenian culture, Gothic and vintage ornaments. 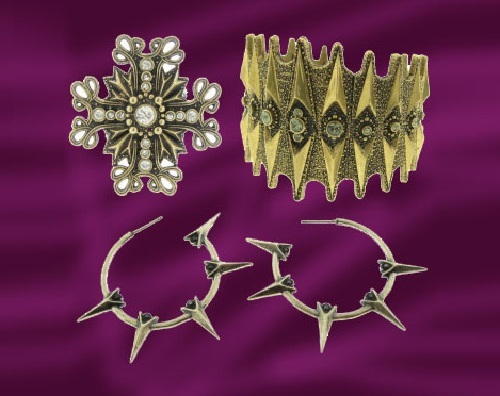 The collection includes earrings, bracelets, rings and pendants, there is everything – from the cross to the spikes. 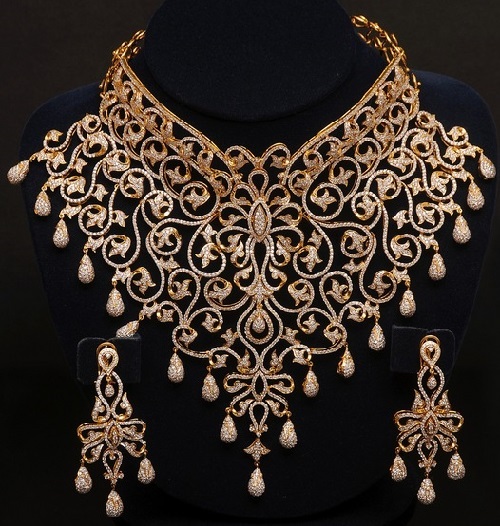 All ornaments are made of silver and gold, and their prices vary between 185-555 dollars.